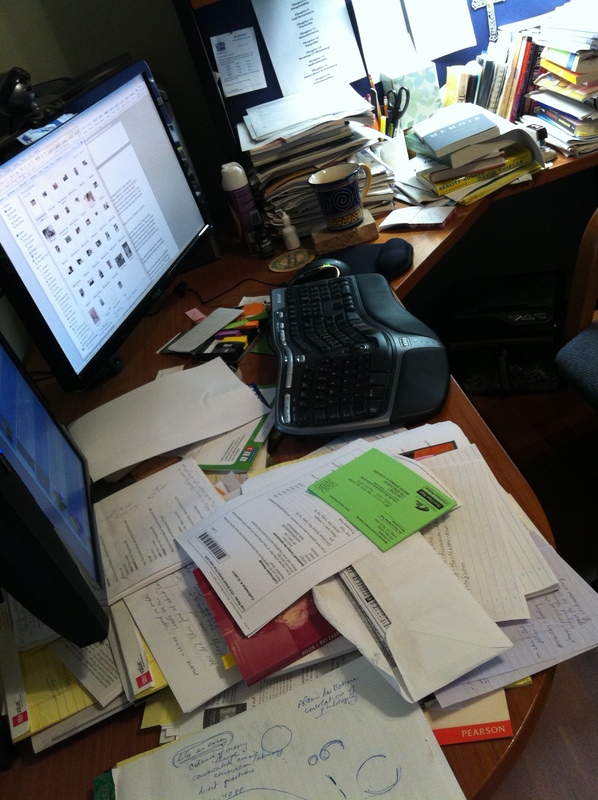 My paperwork-overloaded desk, with the green animal license cards. Most of all of this paperwork is just deadening. Sometimes, however, it actually connects in poignant ways to what’s important to us. Last week, I received in the mail three bright green “courtesy” notices that it’s time to pay my Seminole County Animal Licensing fees. I don’t mind paying these modest fees. They go toward supporting Animal Services in my county, and though I’m sure they euthanize far more animals than I’d like, I do support their work in keeping animals from dying on the streets. Even getting these little cards reminds people that they need to vaccinate their pets and be responsible pet owners. The fee is lower when your pet is spayed or neutered. In these ways, they function as an educational tool as well as a tax on pet owners. This time, of course, I have to send one back with the box checked off that the “Pet is deceased.” Little Cameo is no longer, and the green card with her name stamped on it will go back without a fee. 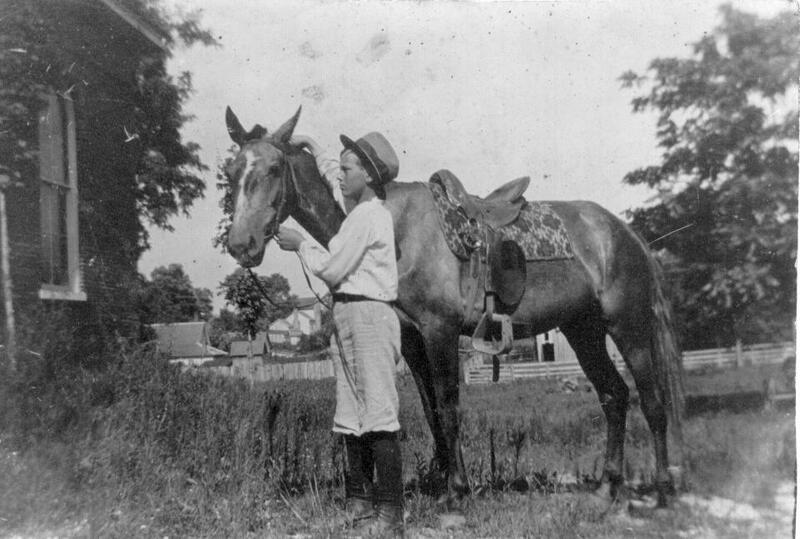 My grandfather at McFerrin School, c. 1908 or 1909. Perhaps because it’s November again, this has reminded me of the months after my grandfather died on November 2, 1972. My mother, of course, was the main one in our household dealing with the practical implications of her father’s death, as well as the emotional ones. These must have been enormous. My mother was closer geographically than her two siblings to her parents’ home, but was nonetheless more than 400 miles across the state of Tennessee, and her mother had grown fragile and fractious and was soon to enter into nursing-home-land. My mother filed changes of address on numerous accounts from their house to our house, so she could make sure that nothing slipped between the cracks. My grandfather had been in the hospital for several weeks, and the lengthy and incomprehensible medical bills kept coming. Other bills had to be paid. The estate had to be settled. What I remember about this is that we kept on receiving relentless communiques sent to my grandfather months and months after his death. My mother handled the important ones, but somehow I took it upon myself to help handle the subscriptions and other minor stuff. My grandfather had been an avid reader—Newsweek, Life, Look, American Heritage, Smithsonian, The Saturday Evening Post, Reader’s Digest, Forbes. The list was large, and these companies kept sending renewal notices relentlessly, long after we had canceled the subscriptions. Today, of course, I understand that in those times removing someone’s name from a subscription list might take time. No instantaneous computer could make him disappear off the rolls at the touch of one button by one employee. In some ways perhaps we should have taken comfort in this echo of my grandfather’s life, at the difficulty in purging someone from the world. However, it just seemed to us like torture. Instead, the letter started off, “Dear Paul,” and went on with the most maudlin and begging kind of diatribe—how he had been such a long-time subscriber that they just couldn’t understand his betrayal now. How if they had done anything to displease him in the pages of their magazine, they hoped to make up for it with the fabulous new content slated for the coming months. How if he continued to care about his own standing in the world based on the insights this magazine gave him, then he would surely re-subscribe NOW! They allowed as how they wouldn’t raise the rates, even though they had the perfect right to do so because he’d let his subscription lapse. This went on for bpth sides of 2 solid, single-spaced pages with red ink used here and there for emphasis. Then came the clincher: They just couldn’t stand to lose someone who had been a member of their x-publication family for so many years! My little 13-year-old head didn’t exactly explode, but the use of the word family evoked in me a bitter sarcasm about commercial enterprises who made grandiose, even delusional claims to try to guilt people into continuing to buy their products. I envisioned the pained look that crossed my mother’s face every time she took in a pile of this exhausting mail. By now I myself had burdened her further with my two broken bones and a diagnosis of diabetes. In fact, my grandfather’s actual family had enough to deal with and was getting pretty tired of this crap. I paused. Then I pressed the keys once more, click-clack, with the tears bulging but not spilling from my eyes. Wondering if I were breaking the law and feeling like a rebellious crusader, I signed my grandfather’s name with a childish, girly flourish, and then folded it neatly into the automatic-return, no-postage-required envelope and put this letter out for the mailman. I don’t think I even told my mother about it. Though I’m relatively sure now that my letter had nothing to do with it, that we had just reached the end of the natural life course of their pleas, we indeed never heard from x-publication again. I patrolled the mailbox for weeks as though I were anticipating a secret love-letter, making sure, feeling vindicated, hoping that someone had been at least embarrassed. 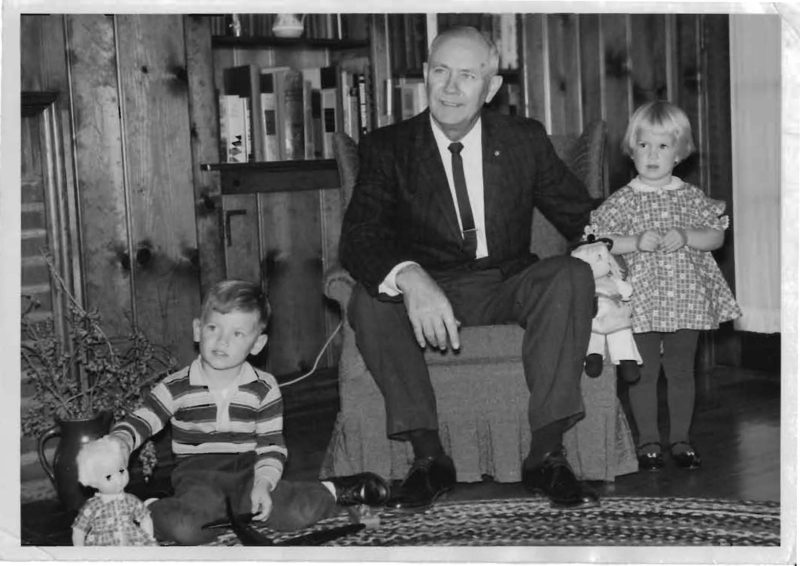 My grandfather with my brother and me, about 1963. Nowadays, receiving the green card with Cameo’s name on it, I feel a little differently. First, of course, Seminole County will not be sending me missives for months—they provide a check-box for just such circumstances as a regular part of pet ownership. And SC is not a commercial enterprise, so there’s not a matter of them trying to get someone, anyone to just write them a check whether or not there’s anyone there. It’s also true that I will be printing out a form from the Internet and filling it out and attaching a fee for a new little cat, the pesky Paka, who has since attached herself to our household. The life cycle is shorter with pets, and we are perhaps more prepared for their loss and their replacement. There is no replacing your grandfather, but while no two pets are ever the same, new ones appear to fill the gaps the gone ones leave behind. Perhaps it was getting the reminder cards, but yesterday I took up all the cat beds in the house and washed and dried and re-arranged them. A couple of these beds had been used primarily by Cammie in the last weeks of her life, and the other cats haven’t touched them since. They have sat empty in Cammie’s favorite spots, reminding us of her absence. This weekend, I felt ready to have them used by other cats. We’ll see if the other cats are ready, or if they would rather they could send me a letter to the effect that she’s gone and I should get rid of her things. I’ll try to pay better attention than a bureaucracy would. Posted in Pets & Animals, Relationships, Uncategorized and tagged bureaucracy, Cameo, death, Paka, paperwork, Paul Meek, Seminole County Animal Licensing. Bookmark the permalink.